Last week we had a guest post by Rebecca Irvine, author of the book MTC at Home: Preparing the Lord’s Future Missionaries. Rebecca has generously offered to give away a free copy of the book to a visitor to the Mormon Mission Prep website. To have a chance to win the book, please leave a comment below telling what you are doing (or will do in the future or have done in the past) to make your your home a missionary training center. 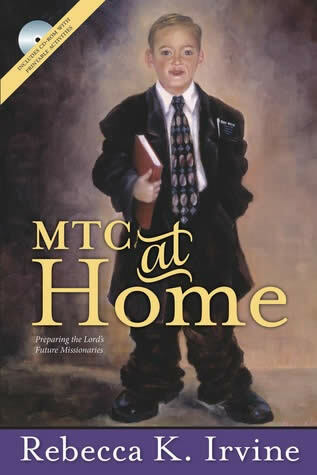 MTC at Home is a book with dozens of family home evening lessons that incorporate concepts from the Preach My Gospel manual. The lessons are designed to help future missionaries learn to teach, testify, and invite. There is a CD-ROM included with the book with a wide variety of printable activity pages for children and youth of all ages. Last week, for FHE, the Smith family decided to give one of the MTC at Home lessons a try for family home evening. We picked lesson number 6 on the four cornerstones of the restoration of the Church, based on President Gordon B. Hinckley’s February 2004 talk called Four Cornerstones of Faith. The chief cornerstone is Jesus Christ, the Son of God, our Savior and Redeemer. The second cornerstone is the First Vision of the Prophet Joseph Smith. Cornerstone number three is the Book of Mormon and the fourth cornerstone is the restoration to earth of priesthood power and authority. 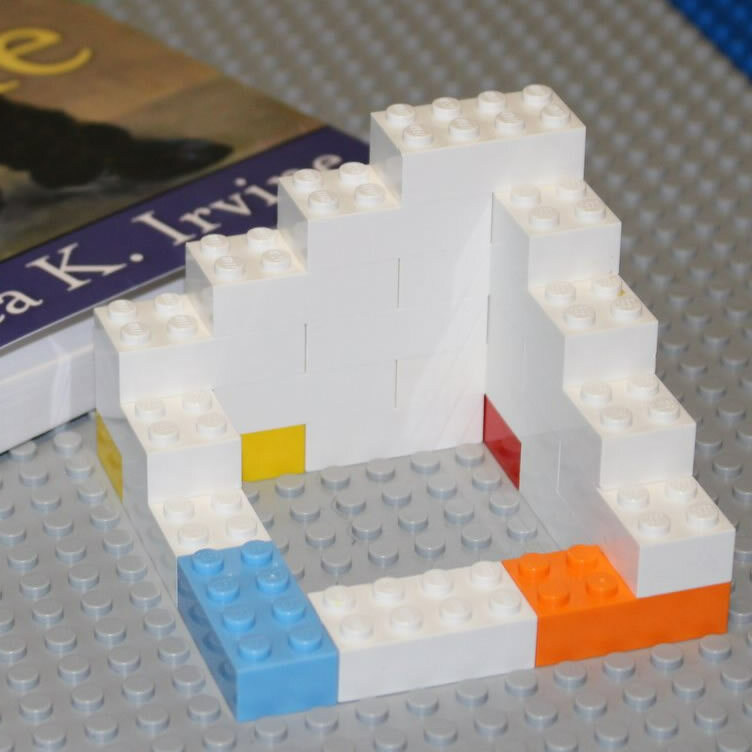 Here is a picture of the Lego building I built during the lesson, with a different colored brick representing each of the four cornerstones of the restored church of Jesus Christ. 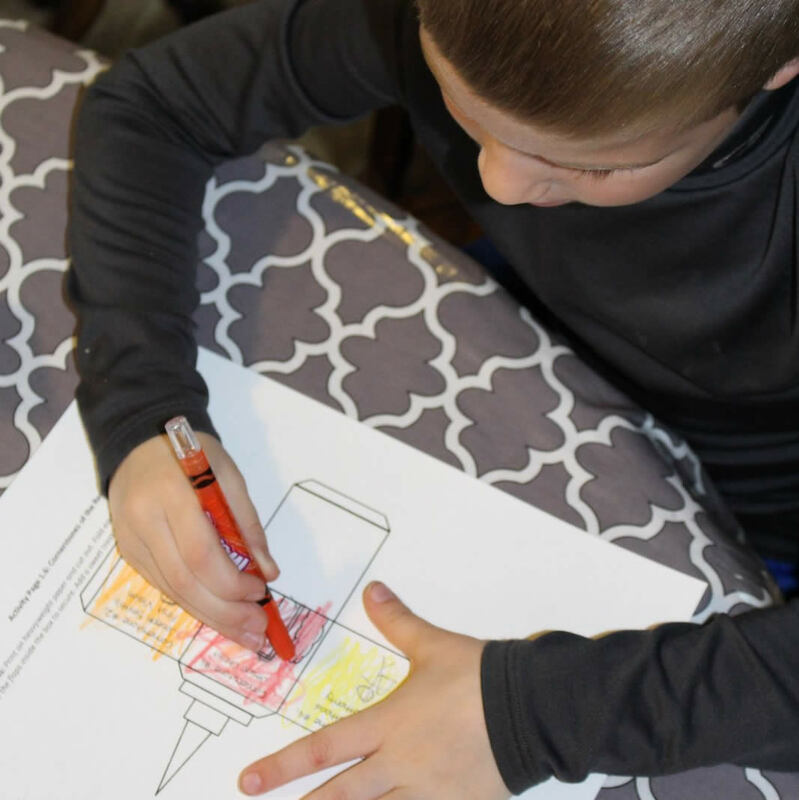 After the lesson, the kids did the activity from the MTC at Home book/dvd. They colored a four-side church building where each side represents one of the cornerstones of the Church. 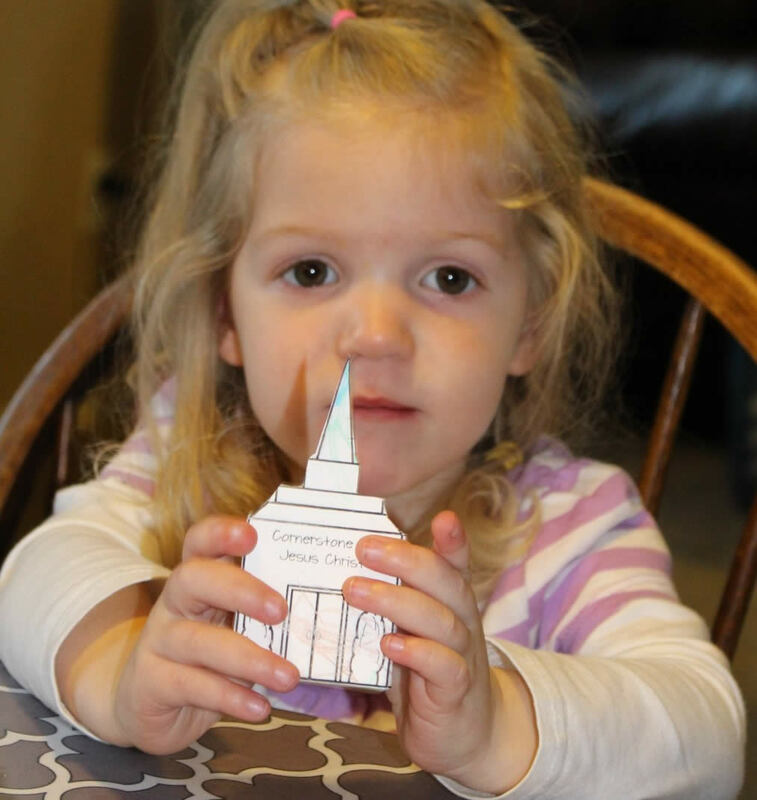 Finally, we cut out the picture and glued it together to make a church building. The kids loved it, especially when I put our FHE treat, a piece of candy, in the cutout church building. As I stated at the beginning, I have one copy of the book, MTC at Home, to give away to one of the luck visitors to this site. To enter, please leave a comment below telling what you are doing (or will do in the future or have done in the past) to make your your home an MTC. Please, only one entry per person, and the winner will be selected at random one week from the date of this post. Good luck. Ok. I have selected a winner at random for the MTC at Home book and it is Debbie W. Congratulations! Debbie, please click the contact button below to privately send me your address and I will mail you the book. Enjoy! It brought tears to my eyes as I heard how difficult it was for a return missionary to surrender his/her name badge. I’m making a replacement first name badge with a welcome home member missionary call to continue serving letter on the reverse enveloped side. When removed to be read, the badge becomes a transparent pin symbolically representing our actions will introduce our message. It’s a tough transition back into the real world but that’s where the gospel is most deeply needed.